People who aren't from around Hull (which is formally known as Kingston-upon-Hull) associate this city with cream-coloured telephone boxes, the busy Port of Hull and the pretty Humber Bridge. Some negative folks even go so far as to think of Hull as a dangerous place that smells like fish and is in the middle of nowhere. But there's more to the city than iconic landmarks and sometimes negative perception. For one thing, it's home to many notable people, including poet Philip Larkin, pioneering pilot Amy Johnson, playwright John Godber, anti-slavery activist William Wilberforce and former deputy prime minister John Prescott. It also has a vibrant arts and music scene. 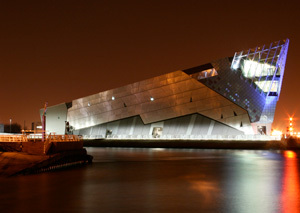 And it hosts numerous exciting events every year, including the Freedom Festival, The Humber Mouth Literature Festival and the Hull Jazz Festival. Hull was listed in the 2003 book “Crap Towns” and branded the worst place to live in the UK, but this is no longer the case nowadays. In November 2013, Hull was hailed as the UK City of Culture for 2017 because of its perseverance to “come out of the shadows”. With its affordable housing, developing economy and dependable infrastructure, the city has also been named by The Sunday Times as one of the 50 best urban places to live in 2015. If you're a Hullensian, you probably already know about these accolades and are proud of what your city has achieved. But did you know that it's also one of the easiest places to dispose of unwanted vehicles? That's right; since The Car Buying Group has established offices throughout the UK, it's now incredibly easy to sell your car in Hull. Just use our online valuation tool above to get a free and fair quote from us. If you're happy with the price we set, you can drop your vehicle in one of our regional centres and get paid for it in a quick and secure way. Hull was founded in the early part of the 12th century, although the exact year isn't known. It was established by the monks of Meaux Abbey, who wanted to export the wool they produced in their estates to neighbouring countries. 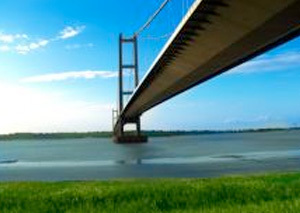 They chose the area that's currently covered by modern Hull because of its strategic location in the junction of the River Hull and the Humber estuary. Since ships could easily come and go, it was relatively straightforward to export local products to mainland Europe and other areas as well as import overseas goods (such as wine, flax, hemp, iron and tar as well as raw materials like Baltic timber) to Yorkshire. In 1293, King Edward I discovered the town during a hunting expedition and realised that Hull not only provided charming and beautiful scenery, but could also help facilitate commerce and prevent foreign invasions. He also saw that it was an ideal location for his military supply base and could greatly help his campaign in Scotland. Because of these, he bought the land from the Meaux Abbey and bestowed it with the title of King's Town (which is why the place is now known as Kingston-upon-Hull). Edward I then built a royal manor hall in the town and encouraged its growth and development. 1297 - The Port of Hull became the only port in Yorkshire from which local products could be exported to overseas countries. Early 1300s to the 1500s - The Port became a major English port and facilitated the export of wool, cloth and lead as well as the import of wine, iron-ore, oil seed and timber. Hull had trading links with Scotland, Scandinavia and the Baltic Countries and even with Mediterranean countries like France and Spain. 1500s and 1600s - Hull achieved affluence but there was already a significant decline in trade. Because of its strategic location and importance, it gained the attention of both the Parliamentarians and the Royalists during the British Civil Wars. The town was eventually seized by King Charles I. 1800s - Passenger shipping grew as Northern European people sailed to North America. With many of these emigrants entering England through Hull, the Wilson Line of Hull was founded and ultimately became successful. Whaling also became an important part of the town's economy. 1900s - As the whaling industry declined, deep-sea trawling became one of the major sources of income in Hull. However, the Third Anglo-Icelandic Cod War (which took place from November 1975 to June 1976) enabled Iceland to extend its exclusive fishery zone. This caused lots of British fishermen to lose their livelihood, triggering Hull's economic decline. 2000s - Hull still is a busy port, handling around 11 million tonnes of cargo annually and creating jobs for thousands of people. It's currently home to several companies in the chemical and healthcare industries (including BP, Reckitt Benckiser and Smith & Nephew) as well as numerous small and mid-size businesses that focus on retail, tourism and the arts. The city has also attracted several investors in recent years. In 2014, for example, Siemens announced that it would go through with a long-awaited deal to establish a factory complex in Hull and inject around �310 million to the local economy. Hull is slowly but steadily shedding its old identity as a crime-ridden, fish-smelling city in the middle of nowhere. As mentioned above, it has grabbed the title of 2017 UK City of Culture, beating other hopefuls like Dundee, Leicester and Swansea Bay. This accolade has already inspired social change and civic pride, and it's expected to bring an economic boost to the city and help build its reputation both as a tourist destination and an investment hotspot. 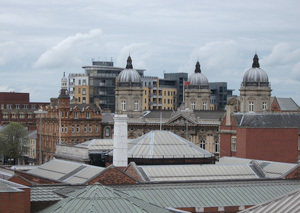 Hull has also been named by The Sunday Times as one of the most desirable urban places to live in the country. This doesn't really come as a surprise since it gives people access to good schools and transportation links. It's also the eighth most affordable place in England to purchase a home (according to research by the Trade Union Congress), making it ideal for those who want to get on the property ladder and buy their own house. But Hull isn't just a place that's slowly improving its economy; it's also a haven for those who want to help the environment and live a sustainable life. The city traditionally has low car ownership rates over the years, which means that people are used to walking or cycling to work and other places. In 2011, Hull was even hailed as one of the best cycling cities in the UK since 12 percent of its commuters used bicycles instead of riding cars and buses. Want to get involved in the city's cycling culture? Put your SUV or hatchback up for sale and get yourself a bike! There's no need to fret since selling your car in Hull is easy, especially when you get our help here at The Car Buying Group. Input your vehicle's registration number in our online valuation tool to get a quote. If you're happy with our price, bring your car to our regional centre and get your payment ASAP.